SERVICES: design, drafting, 3D modeling, structural engineering, fabricating, finishing, installation and conservation. 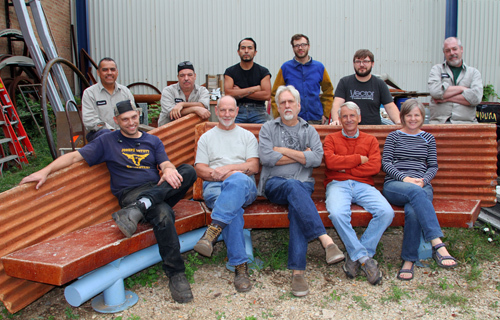 Vector Custom Fabricating was established in 1978 by three artist-entrepreneurs, Barry Hehemann, Steve Mueller and Mike Wilkie. All three received their BFA degrees in Sculpture while studying with Professor Gary Freeman at the John Herron School of Art and Design; and then went on to earn their Master Degrees in Sculpture from the University of Illinois, Urbana-Champaign. 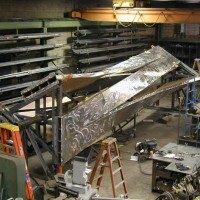 Steve Mueller explains, “starting a company that specializes in fabricating highly crafted metals was the best way to follow our passion for sculpture and also to market our skills commercially”. 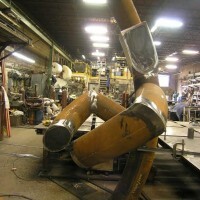 He further explains, “One of our models was the Lippincott Company, a well-known fabricator of large scale sculpture”. So they moved to Chicago, the nearest big city. Martin Puryear, Donald Gummer and Terry Karpowicz were some of the first artists to employ Vector. With a steady increase in collaborations with sculptors Vector has become a company supported by a mix of artistic projects and architectural metals. 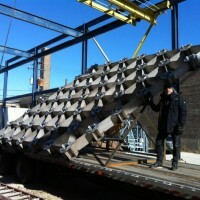 Recent projects with Inigo Manglano-Ovalle and SOM, Sabrina Raaf, Barbara Cooper, John Himmelfarb, John Van Alstein, Ed Wicklander and Neil Goodman have been important additions to the long-term relationship Vector has had with the artists Terry karpowicz, Christine Rojeck, Bruce White and Stephen Luecking. 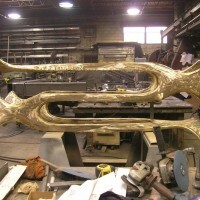 Within a few years of starting their business the owners have depended on a small group of exceptional artist craftsmen. There has been little turnover. Derick Malkemus, BFA John Herron, MFA SIU-C came on board in 1990. Since then Nathan Overley BFA Alfred University and Erik Lowe, BFA School of Art Institute of Chicago have joined Vector; and more recently Adrian Calderon, BFA Columbia College and Seth Godard, BFA Univ. of Iowa. Antonio Meza and Fernando Dominguez have been with the company 25 years and 15 years respectively. 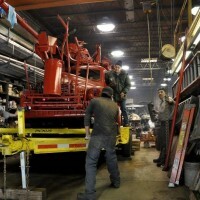 Vector has implemented a succession plan that will continue its operations being guided by hand and eye of artists. 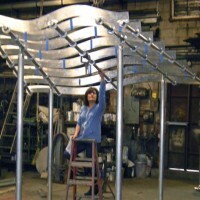 For more about Vector Custom Fabricating, Architectural Metals … click here..
Vector Fabricating: The solid Support Structure behind numerous Public Art installations in Chicago & Beyond..